Under the Motto “Smart processes for innovative businesses undergoing digital transformation”, itelligence AG will present the latest developments in the area of digitization at its IT conference on September 12 and 13 in Bielefeld. Over 500 business leaders, decision-makers, and IT managers will meet once again this year for the “itelligence World” at itelligence AG’s Conference Center in Bielefeld. There, they will be able to check out the progress made to date with respect to the implementation of digitization in businesses and learn how working business models are emerging thanks to the Internet of Things (IoT) and digitization. Many companies in Germany, particularly in the SME sector, are still too tentative in embracing digitization, as reported by the Fraunhofer Institut* in a study from May 2017 and by the Produktion magazine. And this is the case although there are frequently only a small number of steps required to make a real difference. itelligence AG has compiled a few success factors in its compact conference program. The well-known journalist and Grimme Online Award winner Richard Gutjahr will open the itelligence World this year. In his keynote speech on September 12, he will present the latest developments and upheavals in the area of digitization under the title “The Next Big Thing”. Richard Gutjahr also has hands-on experience. Besides his journalistic work, he has been advising Munich startup LaterPay on the development of new payment models since the beginning of 2014. On September 13, the digitization of the process chain will be scrutinized by Dr. Winfried Felser, operator of the Competence Site and editor of the Competence Report. In his keynote speech entitled “The new ‘digital’ added value logic – the difference that makes the difference!”, he will identify steps in the process chain that are relevant to digitization. itelligence will offer a structured insight into the topic of digitization and present the contents from the following perspectives: “Clever Thinking”, “Workshop of the Future”, “The New ERP World”, “Smart Working”, “Digital Transformation”, and “Focusing on the Customer”. The 60 talks, presentations, and expert discussions will thus provide a comprehensive overview of the current state of digitization, solutions, and methods in the business world. The highlights will include insights into the product policy of the new innovation system SAP Leonardo, the experiences of the experts from GMS Getränke & Mehr Servicegesellschaft mbH, better known under the brand name Krombacher, as well as the experiences of the textile company JAB ANSTOETZ Group. IT security is one highly topical issue to be covered. 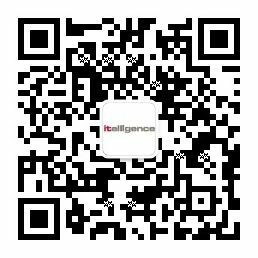 itelligence will also present an extensive program on customer-friendly e-commerce, implemented via the new SAP Hybris and SAP applications for iOS, and address the topic of intelligent social media search capability. The company will present its new tool for this purpose, the “it.market bot”, for the first time in Germany. Every visitor will be able to compile their own personal conference schedule, experience applications first hand, and hold discussions with experts. Visitors will, for instance, have the opportunity of developing the holographic image of a product in a virtual reality environment using “HoloLenses”. One special surprise at the itelligence World will be provided by NOX, a robot nearly 2.5 meters tall, who will interact with the visitors at the Conference Center. The “itelligence World” will provide a compact overview about the state of digitization. The IT conference will begin on September 12 at 9 a.m. at the itelligence AG Conference Center, Königsbreede 1. The company is expecting a high turnout, and would thus appreciate it if all visitors could register in advance at itelligence. itelligence is one of the leading international full-service providers of solutions in support of SAP solutions, employing about 6.000 highly qualified employees in 24 countries. As a frequently awarded SAP partner, among others global value-added reseller, SAP Certified in Cloud Services, SAP-Certified Provider of Hosting Services for SAP HANA® Enterprise Cloud and SAP Platinum Partner, itelligence realizes complex projects in the SAP solution-based environment worldwide. The company’s services in support of SAP solutions range from consulting and licensing to application management services and hosting services to proprietary industry-specific SAP. In 2016, itelligence generated total sales of EUR 777.9 million.